Georgia drivers in search of a luxury vehicle without the luxury price tag would do well to check out our selection of pre-owned cars for under $30,000. You can have all of the luxury, safety, technology, and power you’d expect from our new vehicles, for a fraction of the cost. Browse our incredible selection and schedule a test drive today! Experience the Luxury of the 2016 C-Class Today! Why is buying a pre-owned car a smart choice for Alpharetta drivers? It’s estimated that within the first 2 years of driving, a new vehicle will depreciate about 30% off its original price. When you buy a previously owned vehicle, you’re letting someone else take the hit of a high sticker cost and depreciation, so you get the same great vehicle at a big savings. Plus, many of our vehicles are Certified-Pre Owned, which means they have a limited number of miles, are only a few years old, and have been through and passed a rigorous multi-point inspection to ensure it’s working as well as the day it left the manufacturer. With the added bonus of extended vehicle warranties, you’ll rest assured knowing you’re making a wise investment. 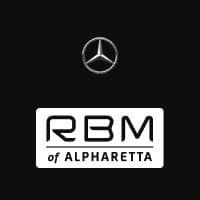 What’s more, buying a pre-owned car from RBM of Alpharetta is easy! We’ll walk you through every step, help you decide on the right budget, and find the car that’s a great fit for your needs. To check out our extensive selection of pre-owned cars under $30,000, visit us today! We open at 9 a.m., Monday through Saturday, and close at 7 p.m. Monday through Friday, and 6 p.m. on Saturday. You can reach us online with any questions you may have about the vehicles listed above. We hope to see you soon!